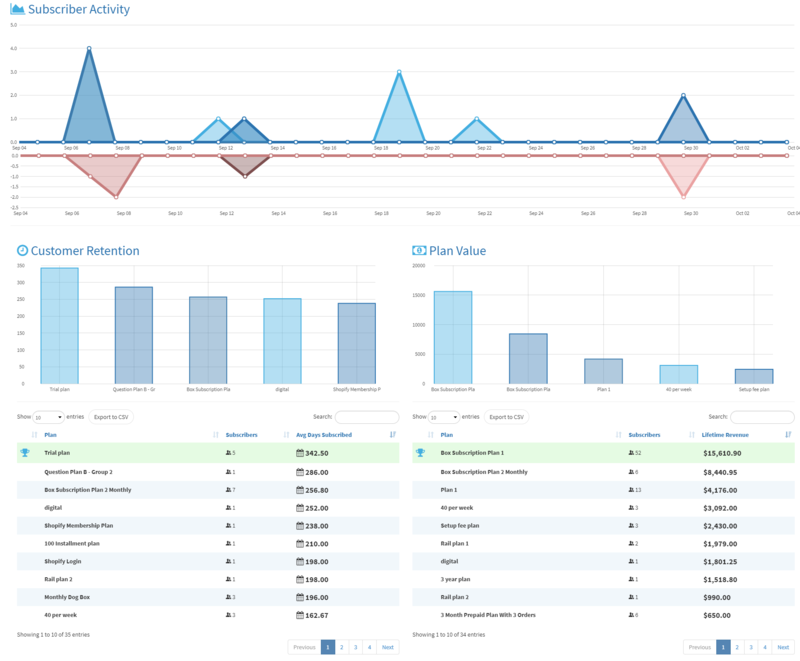 One of the most improved areas of PayWhirl version 2 is the brand new reporting and analytics section. We listened to your feedback built in data and statistic that matter. There are dozens of new charts / graphs, reporting views and all new data exports. Not to mention that you can sort, filter and export any of the tables that you find in PayWhirl V2 by clicking the "export .csv" button at the top of the table you're working with. Note: Clients on the starter plan only have access to the Data Export section. Advanced metrics shown below are only available on monthly paid plans. 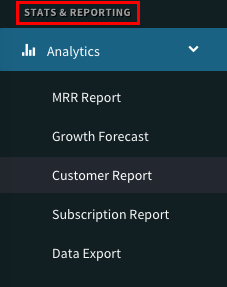 You can find the new analytic and reporting tools in the main menu under the Analytics tab. 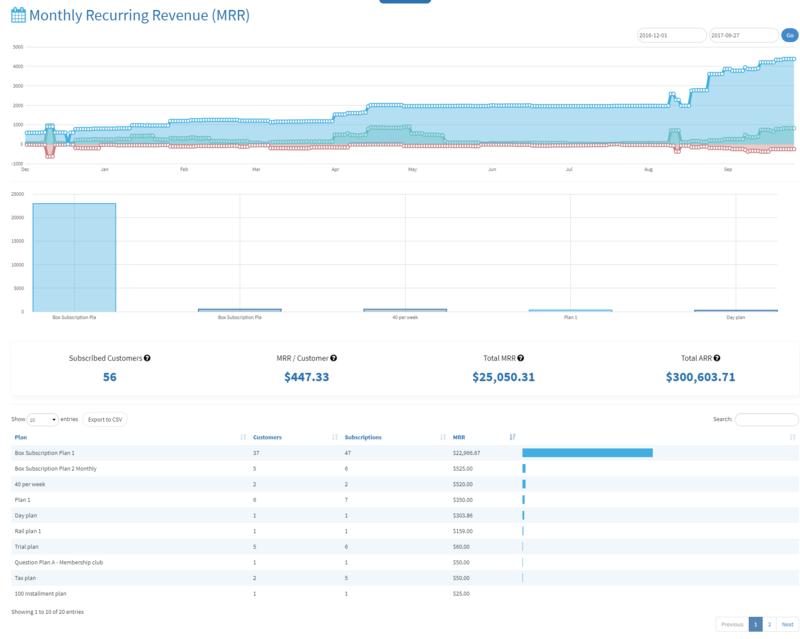 The Subscription Report gives you details on how long your customers are staying subscribed as well as the total revenue each plan has generated. 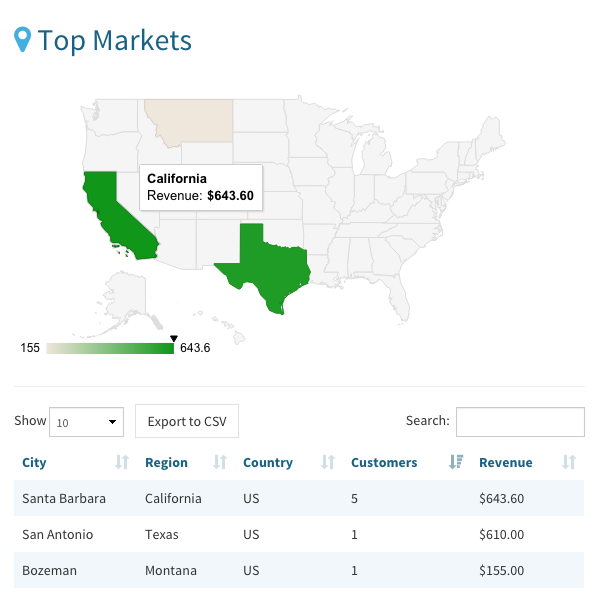 The Customer Report shows where your subscribers are located and who are your top revenue earners. 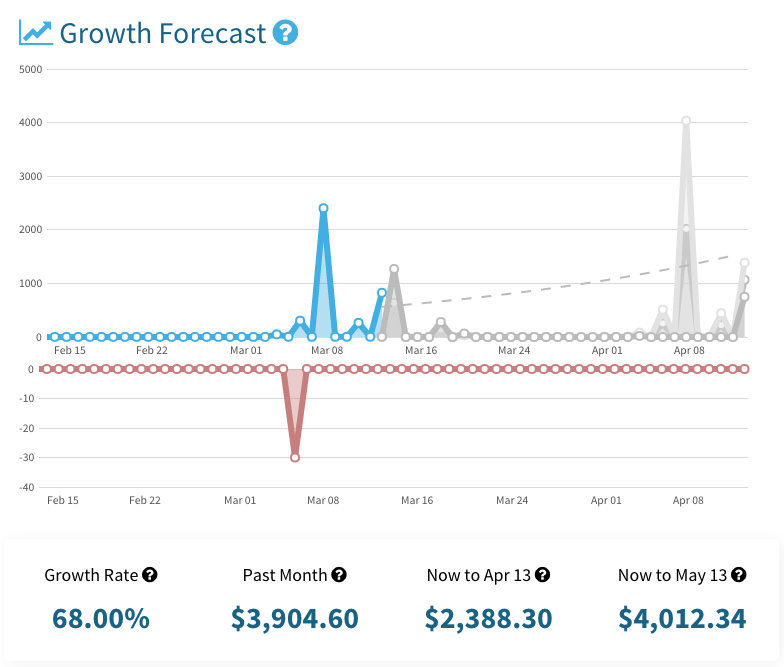 The Growth Forecast Report give you estimates on projected growth based on past sales numbers and churn rates. If you have any questions about the new reporting pages or data exports please let us know.